Bankruptcy may seem to be the only solution away from those annoying calls of creditors. Not too long ago, declaring bankruptcy was just a quick and simple court walk to get yourself a clean slate and start over. However, after a massive overhaul of the Bankruptcy laws, that court walk has long been stretched to a maze coupled with a series of processes. You’d get lost along that trail without the proper guidelines of filing for bankruptcy. If you’re still thinking about whether to declare or not, then the tips below will give you an ensured head start of handling your situation. It’s no longer as simple as telling the court, “I no longer have the capacity to pay my debt,” and wallah – you’ve got yourself a clean slate. 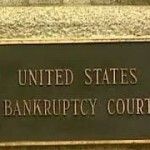 Today, bankruptcy has become a complicated and costly issue. You should start thinking how much declaring bankruptcy may cost you, such as attorney fees, pre-counseling fees, and others. There are also types of obligations that you can’t run away from, such as child support and mortgage debts. If indeed you’ve been successful in declaring bankruptcy, that clean slate be will still not be yours yet. Bankruptcy will stick to your credit reports for as long as 10 years, and creditors could opt to avoid doing business with you ever again. When deciding whether or not to declare bankruptcy, it is best to first study your situation. If you think there are other ways of resolving your financial problems, then you could hire financial experts or negotiate with your creditors for a payment plan or other means. But if you’ve ran out of options, and filing for bankruptcy is the only way, then find yourself an expert lawyer regarding this matter. Declaring bankruptcy is entering a jungle of legal processes. Being with the wrong people wouldn’t get you far, since a small slip-up could lead to the eventual downfall of your case. Find the right person for the job, and he could just get you through this situation.